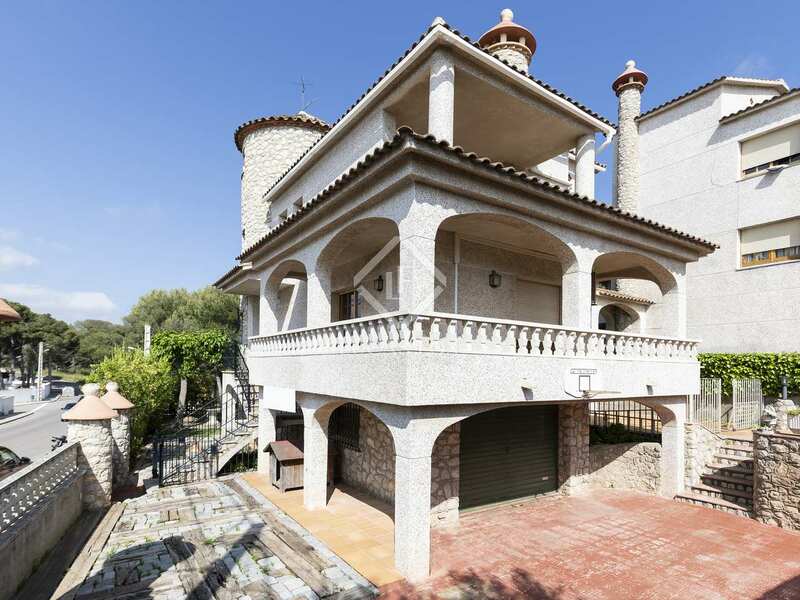 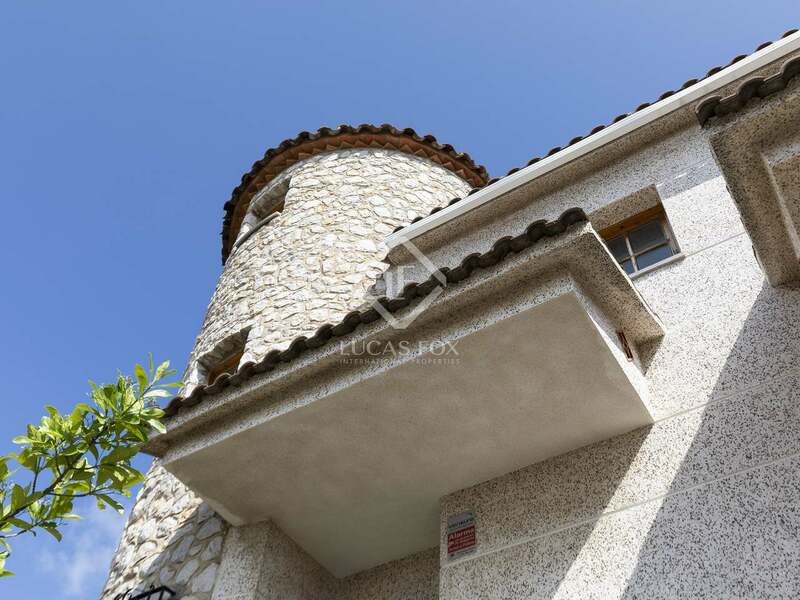 Built in the year 1990, this wonderful 207 m² house with its unique structure enjoys a lovely location at the top of the Mas d´en Serra neighbourhood of Sant Pere de Ribes, within very easy reach of local amenities, the larger towns of Sitges and Vilanova and walking distance to several international schools. 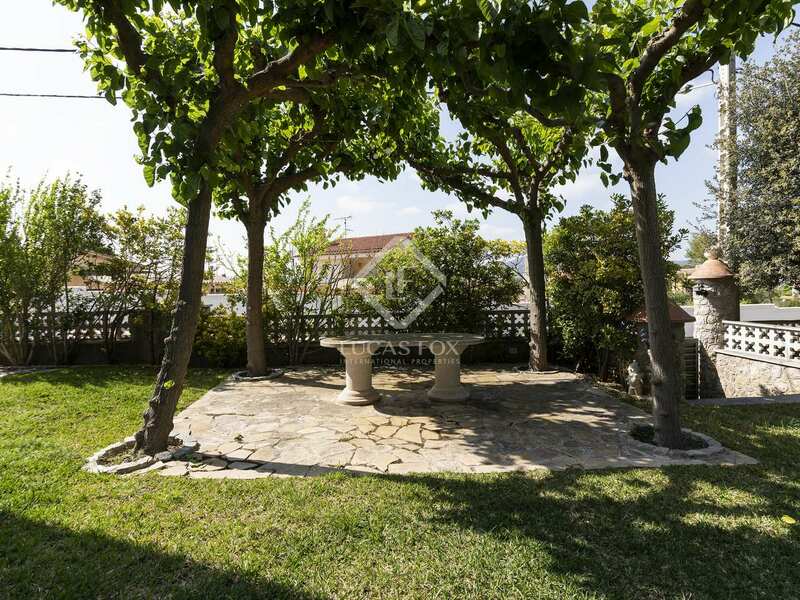 The garden area covers an impressive 1000 m² with grass and trees all around as well as a barbecue area and a waterhole to water the garden. 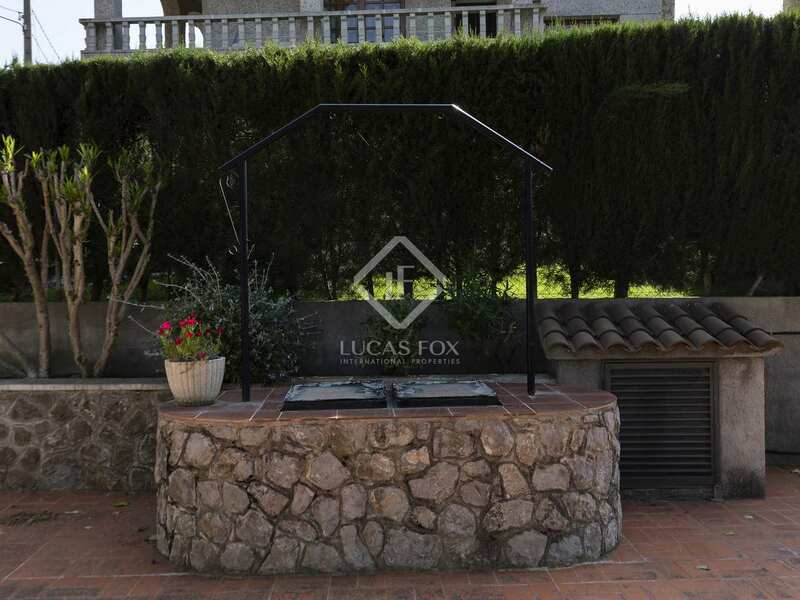 It would also be possible to build a swimming pool should the new owner wish to do so. 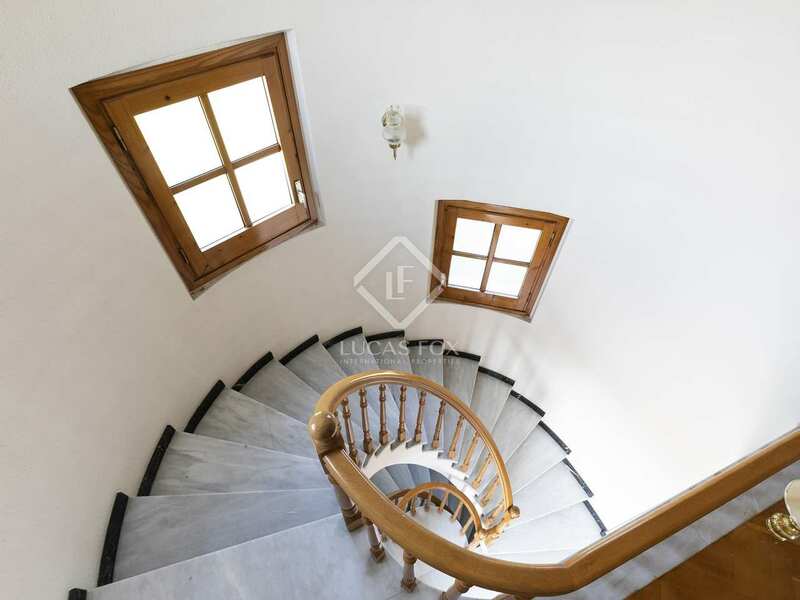 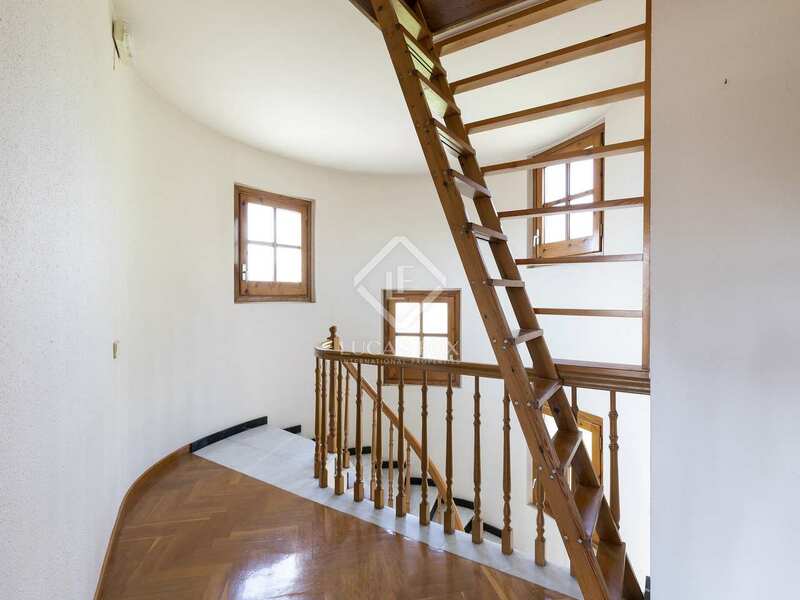 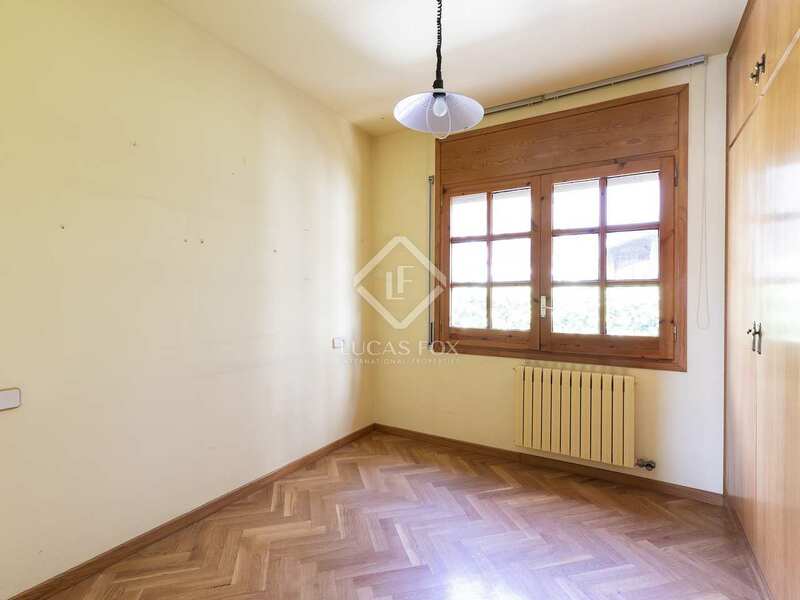 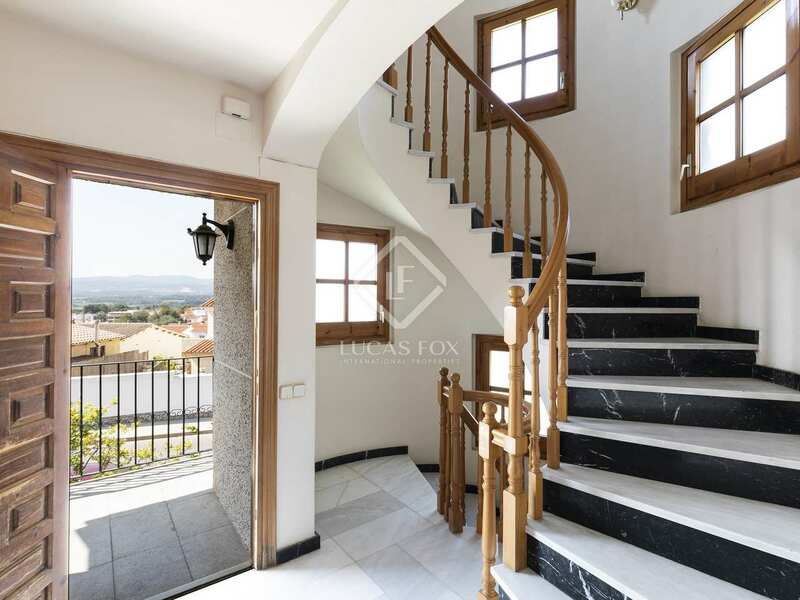 Inside we find an attractive entrance hall with a charming spiral staircase, the kitchen, living area with a large balcony, 1 bedroom and 1 bathroom. 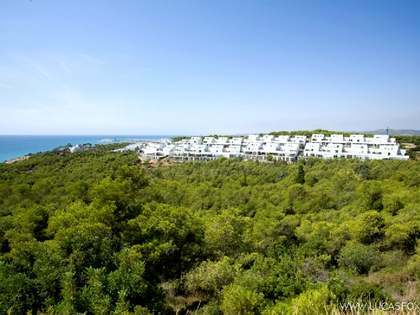 The floor above offers 2 bedrooms with a shared bathroom and 1 ensuite bathroom. 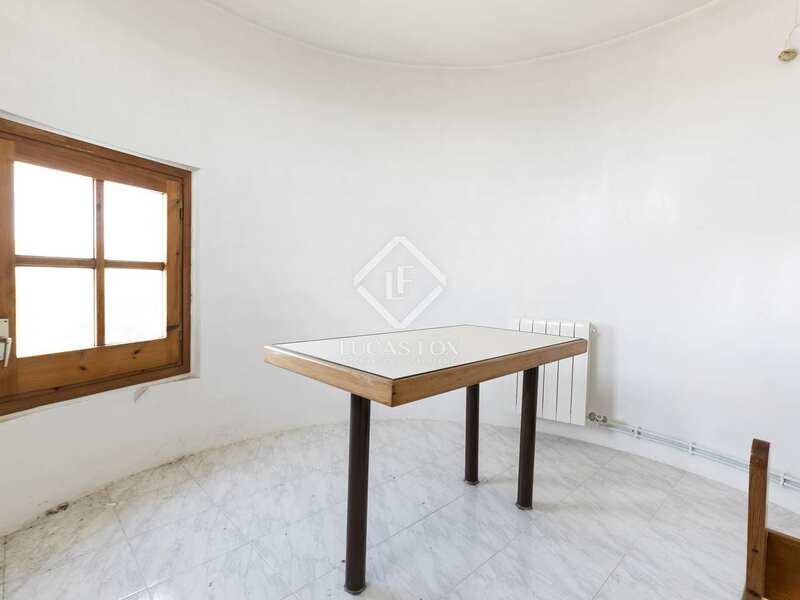 A small room with views is found on the top floor and would be ideal for use as an office, away from the rest of the home. 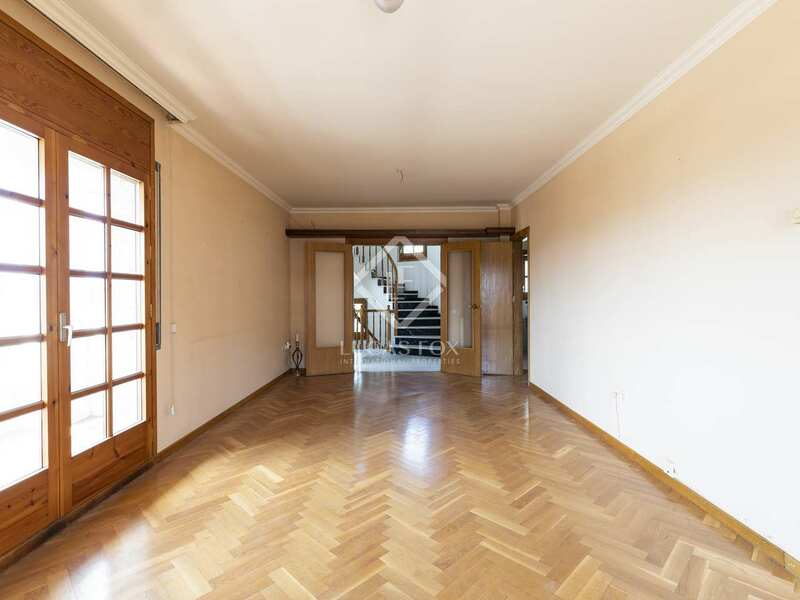 The lower floor provides parking facilities and the utility area. 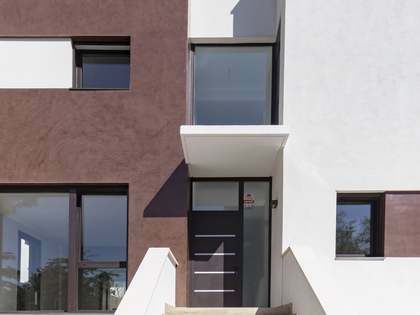 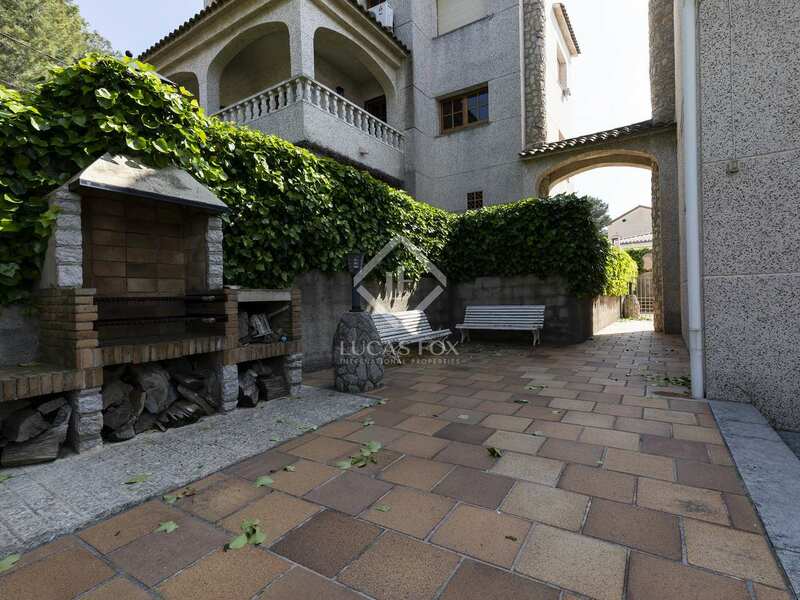 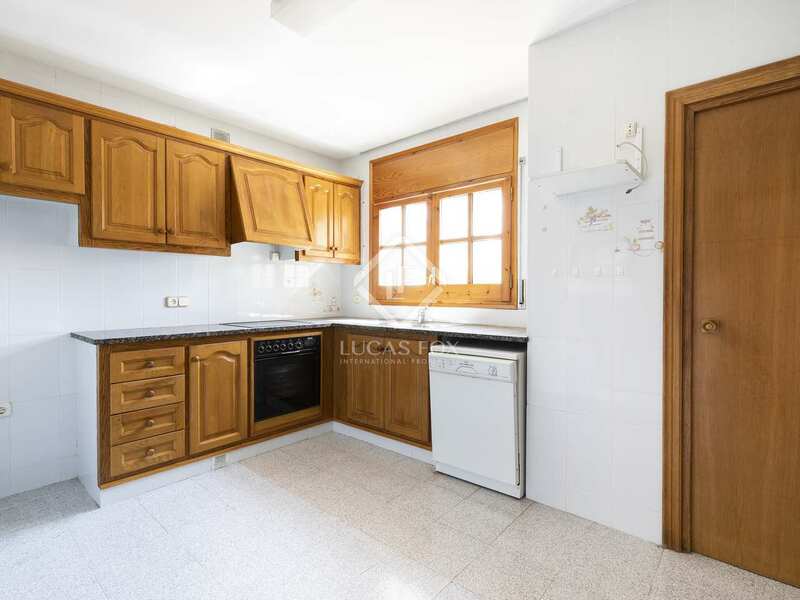 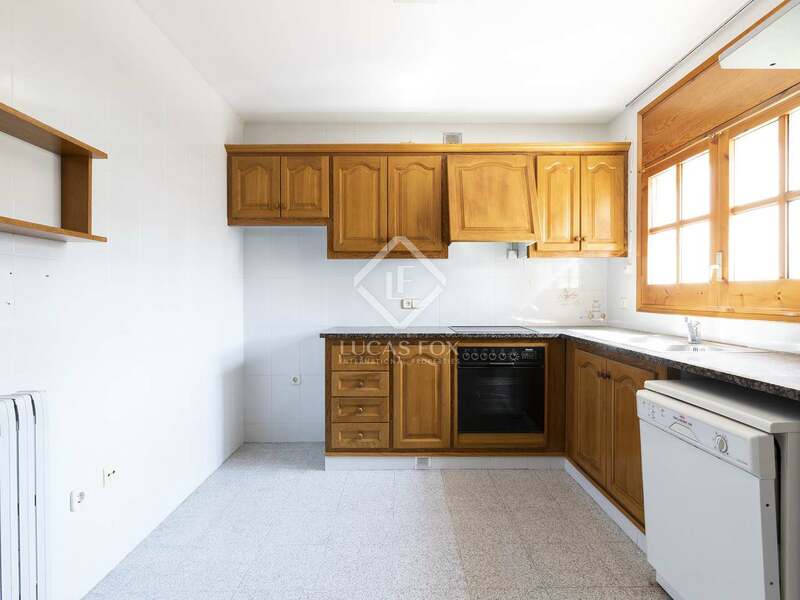 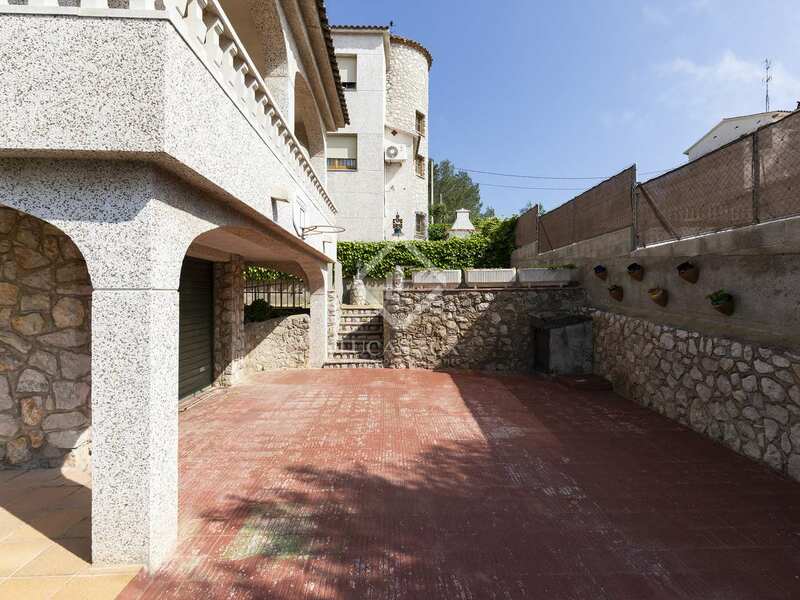 This property would make a magnificent home for a family with children thanks to the large garden and an ideal second home in a very peaceful and safe area for next to Sitges and Vilanova. 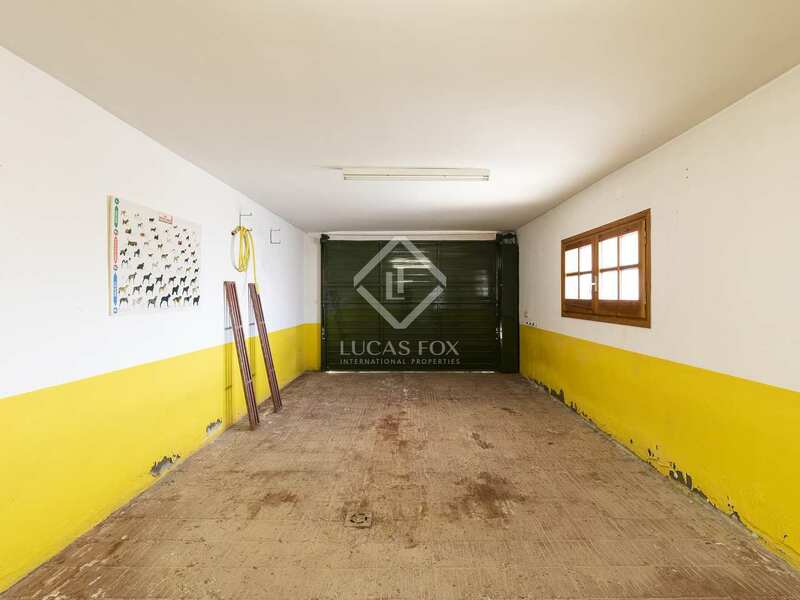 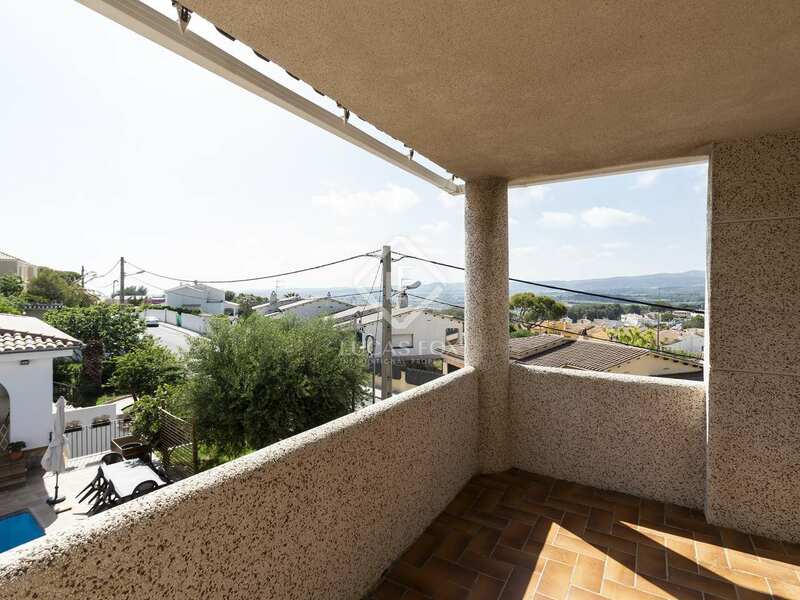 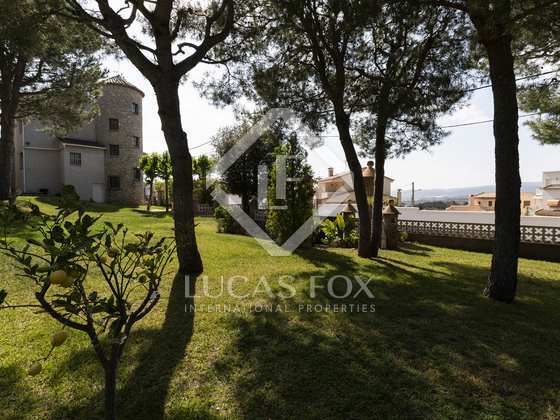 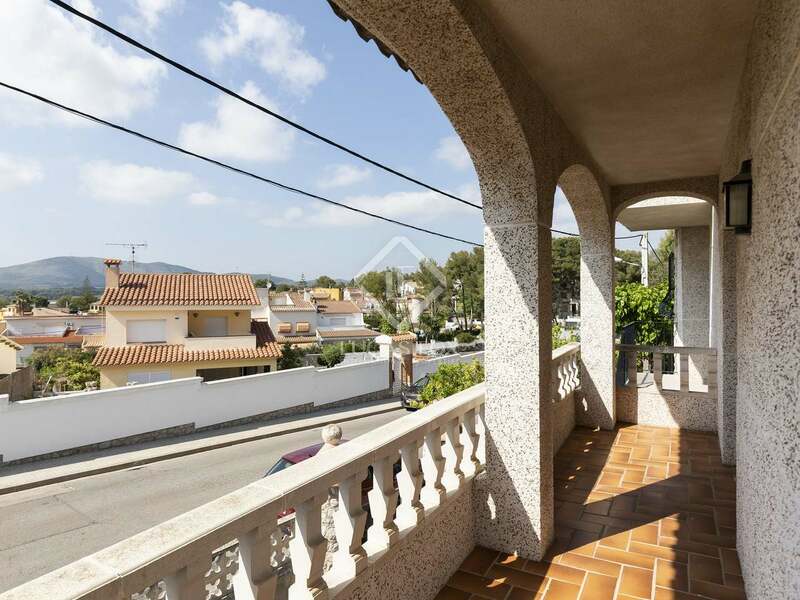 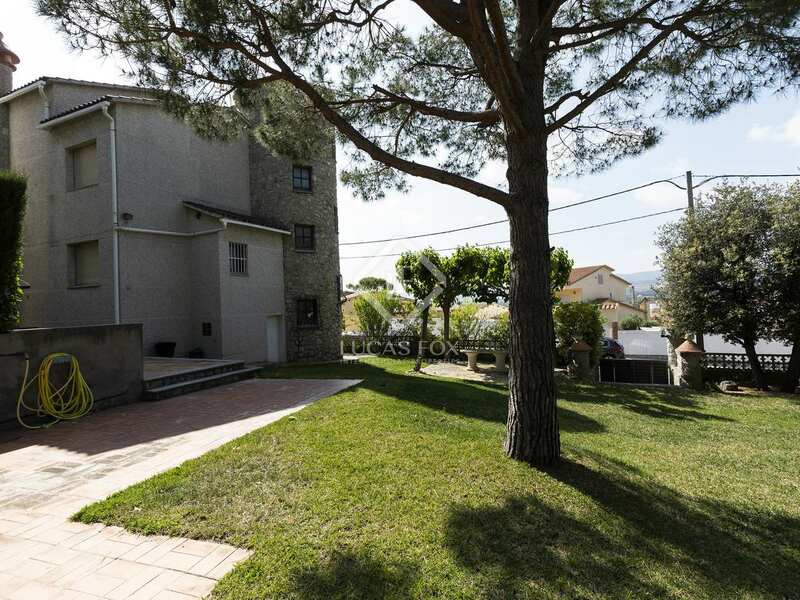 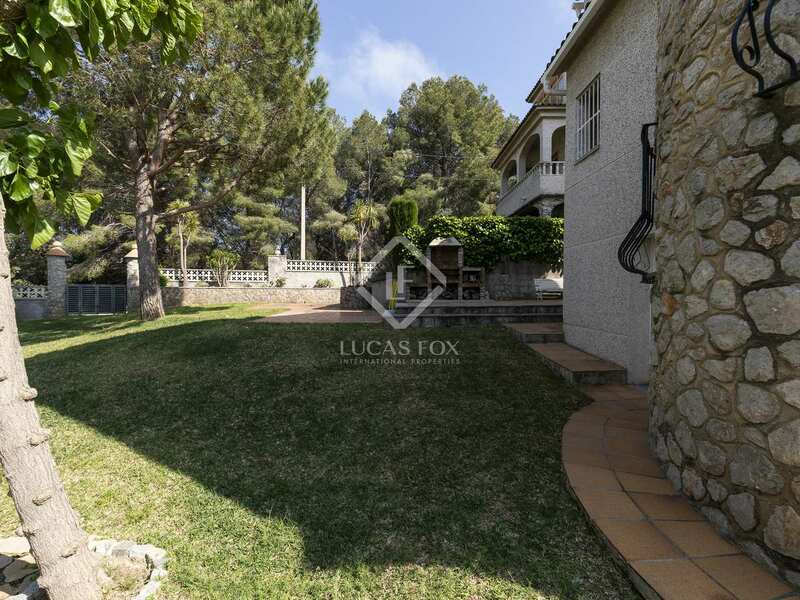 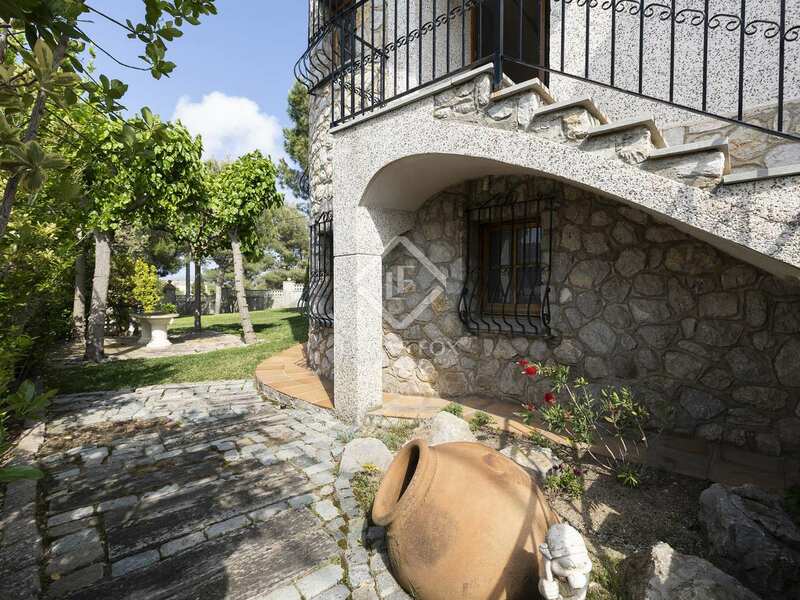 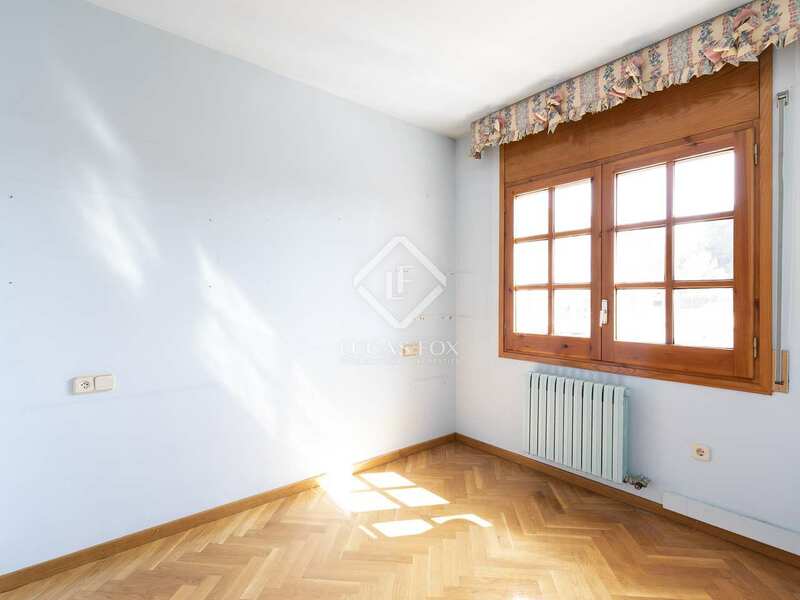 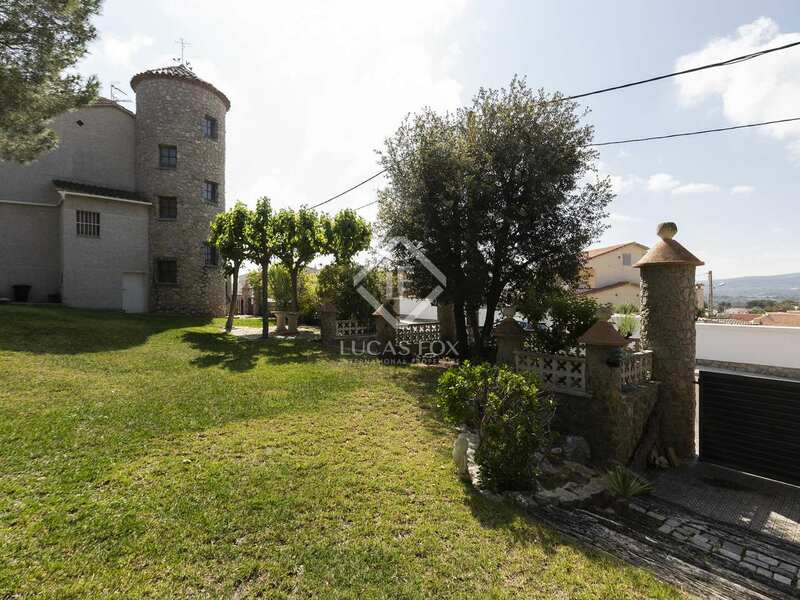 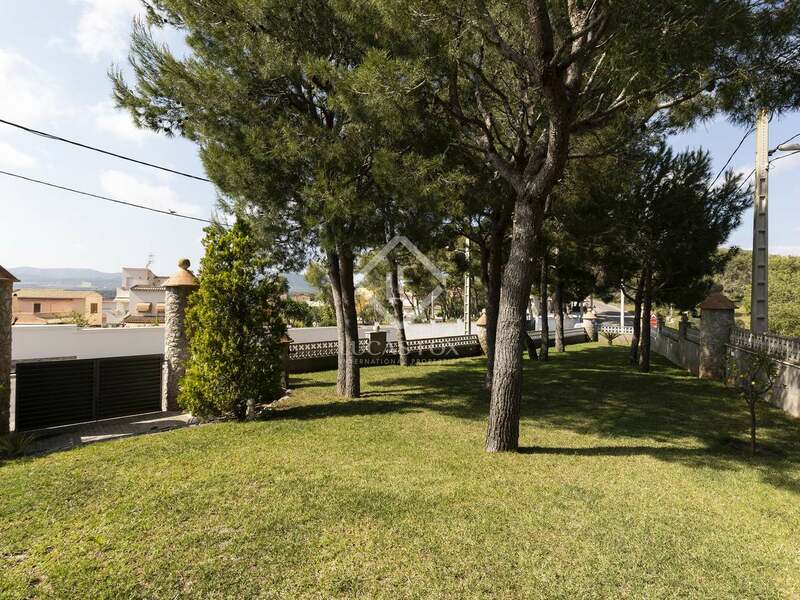 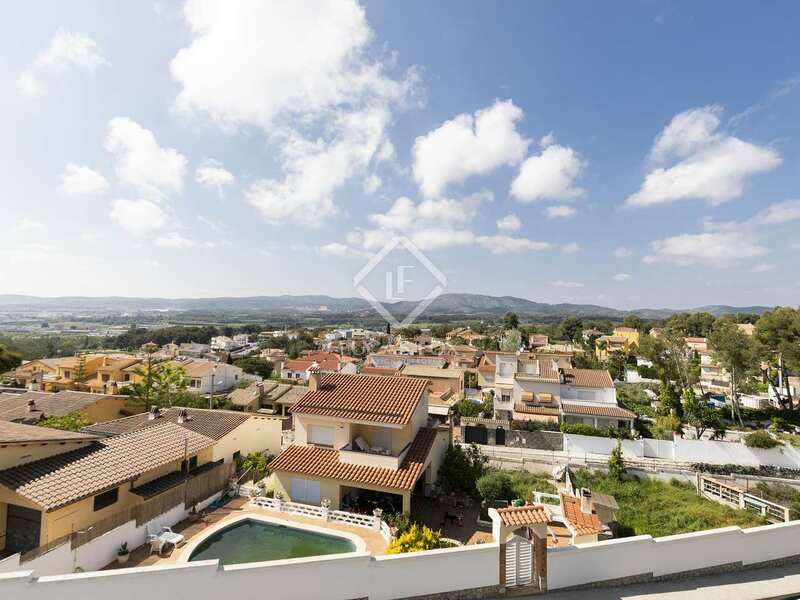 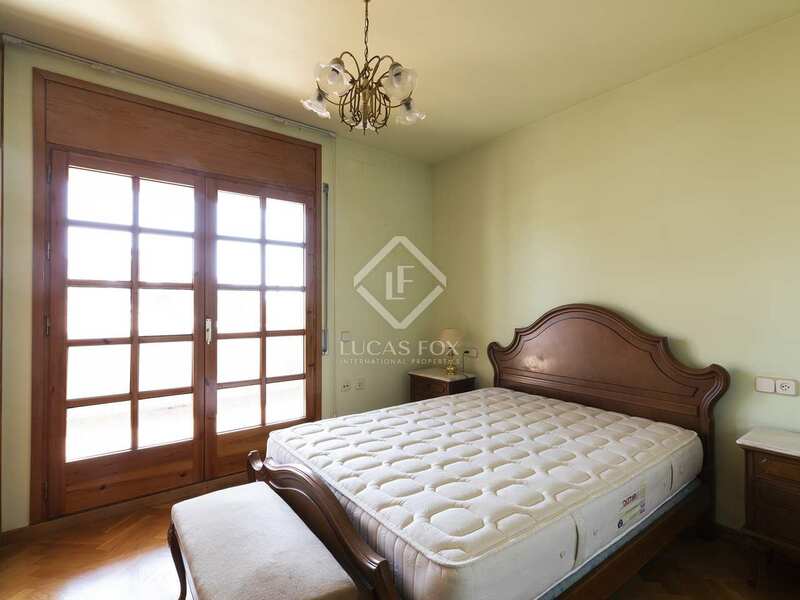 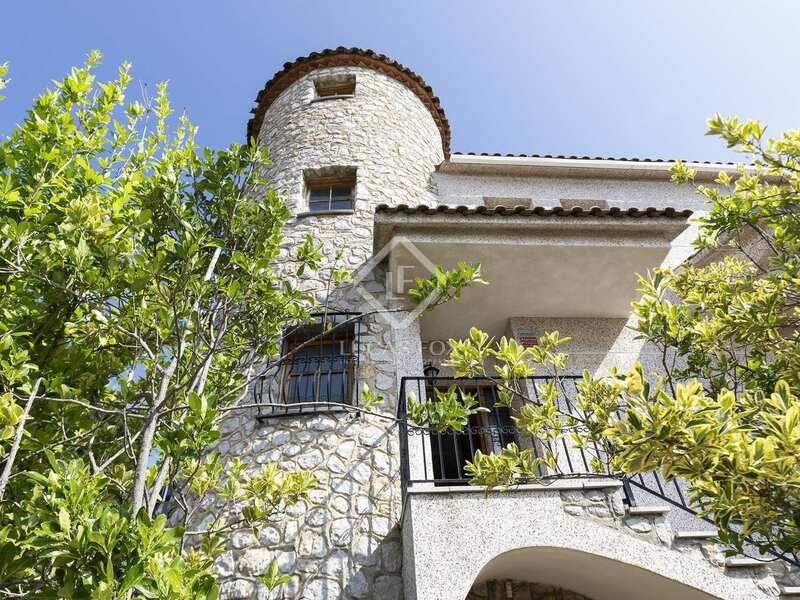 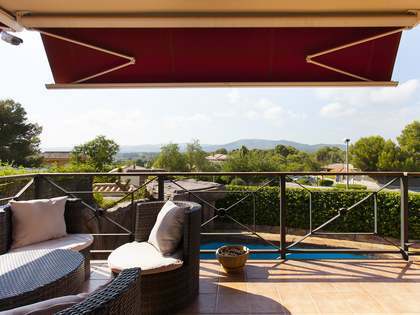 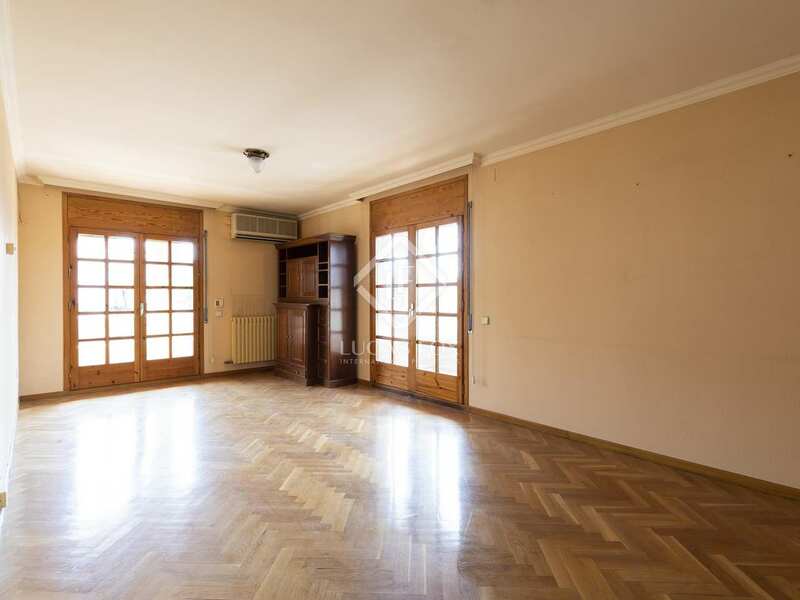 The property is located in Mas d'en Serra (Sant Pere de Ribes), a very quiet urbanization, next to Sitges and Vilanova and walking distance to several international schools. 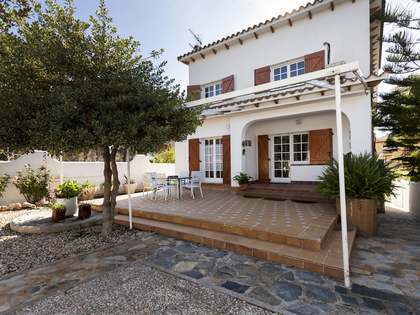 Just 5 minutes away by car we find supermarkets, international schools, a market, and shops.